The best directions ever, for chasing your dreams or heading into the unknown? Second star to the right, and straight on till morning. 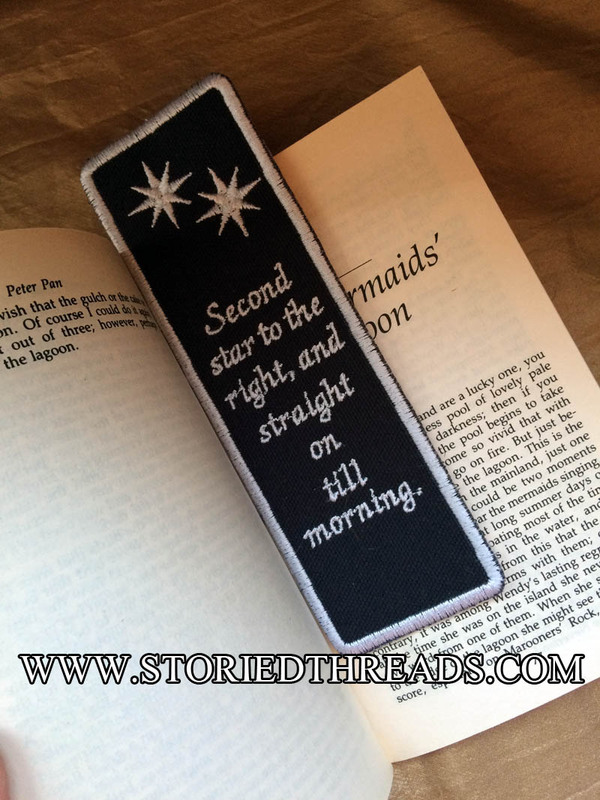 This bookmark is embroidered in silvery gray thread on black cotton canvas. The great thing about our embroidered bookmarks — besides just being awesome bookmarks — is that are still fully funcional as sew-on patches, too! Use it to hold your place in your favorite novel, or sew it on a bag or jacket to show your literary loves to the world. Stage managers are a special kind of theater geek — without you, nothing would get done. Stage managers keep actors on task, know all the blocking, and remind directors that they need to eat. 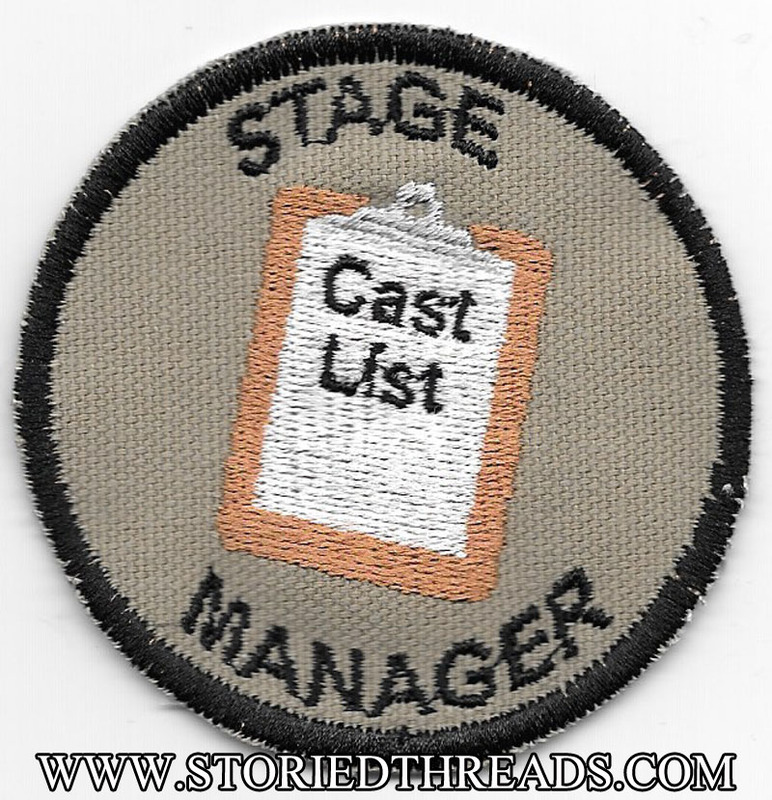 Without stage managers, the theater would be chaos. This design is available as a patch in our Etsy store and on our website, and also as a sticker on Redbubble. Possibly the best stage direction ever written comes from Shakespeare’s “A Winter’s Tale”. 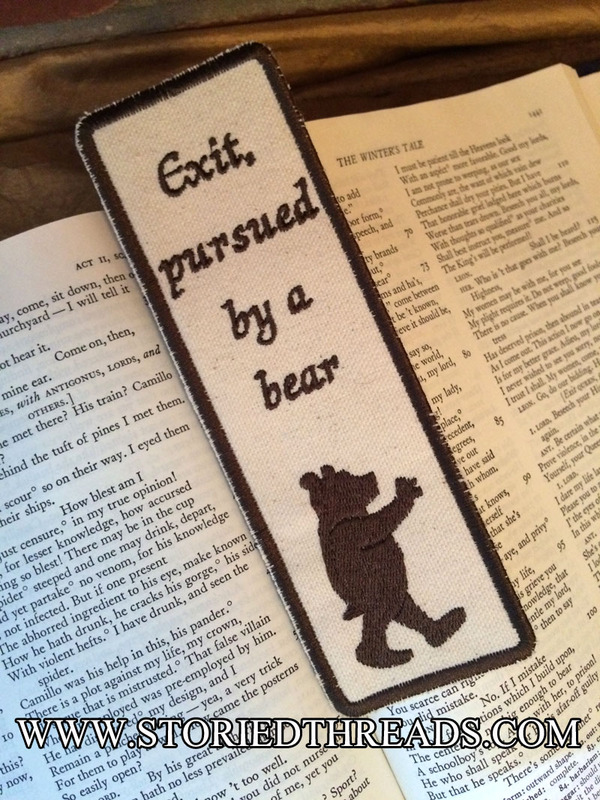 In Act II, Scene iii, the direction simply reads, “Exit, pursued by a bear”. This bookmark is embroidered in dark brown thread on off white cotton canvas. It is available both in our Etsy shop, and on our website. I am a goddess, a glorious female warrior. Queen of all that I survey. Enemies of fairness and equality, hear my womanly roar. Yeah! Our Pawnee Goddesses patch has been so popular since we started making it that we decided we should make a bag as well. 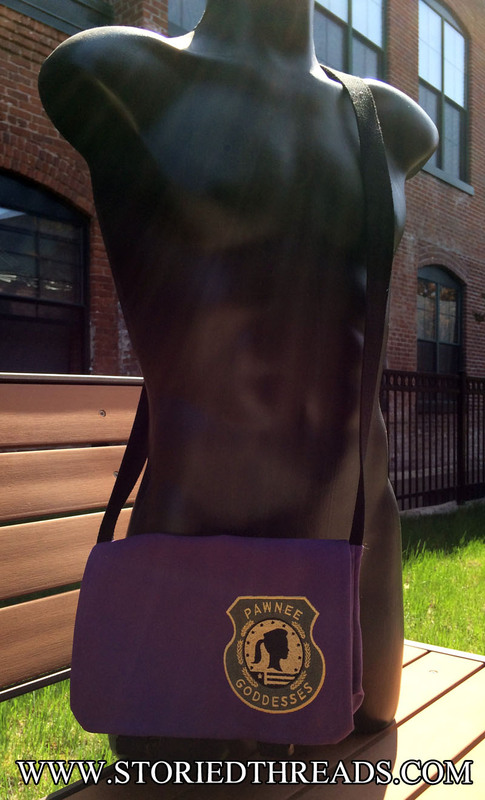 The badge is stitched here on purple cotton canvas, and accented with black buckles and strapping. 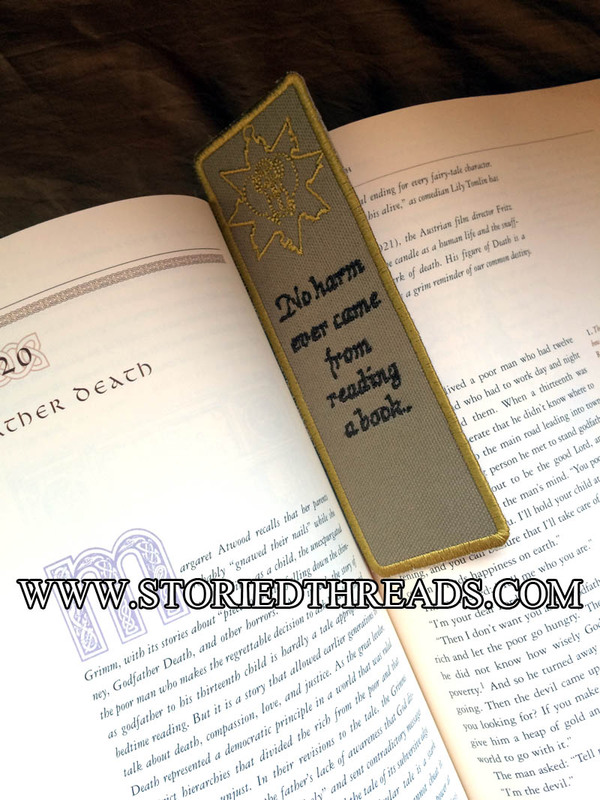 This bookmark shows the outline and scarab detail of the lock from Imhotep’s sarcophagus and the Book of the Dead, stitched in gold thread on khaki cotton canvas, and Evelyn’s ironic statement is stitched below it in dark brown. There are a lot of kinds of genius. You’ve got your philanthropic geniuses, your billionaire geniuses, your misunderstood geniuses. 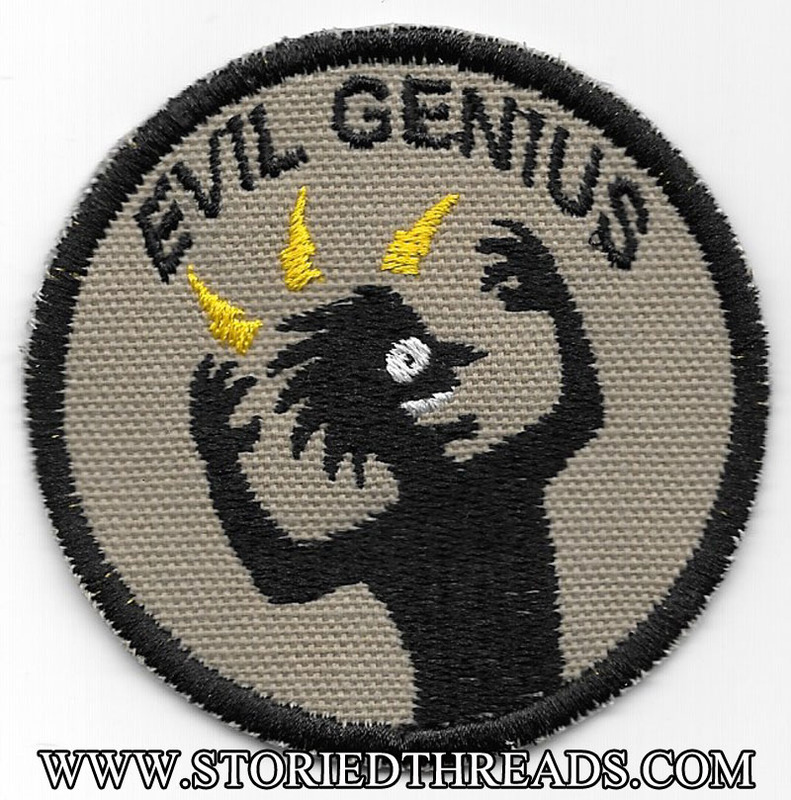 But no genius is as worthy of celebration as the Evil Genius. This new design is available as a patch in our Etsy shop and on our website, and as a sticker on Redbubble. 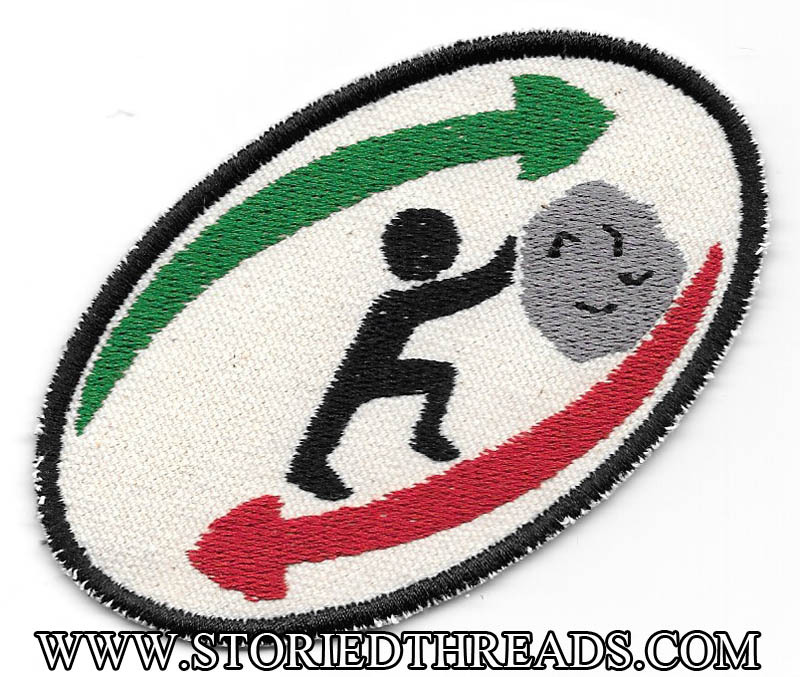 We all have those days where we feel like Sisyphys, constangly pushing out boulder up the hill only to have it roll back down again, forcing us to start over again. And again. And again. My personal Sisyphean task? Trying to keep the cat off the kitchen table. This new design is available as a patch in our Etsy store and on our website, and is also available as a sticker on Redbubble.